Before we sign you up for one of our truly inspiring design projects and after we have our initial no obligation consultation, we follow up with inspirational ideas for your review at no charge or indebtedness to you! This way we collectively get to evaluate if we are a right fit to work in concert with you in expanding your outdoor environment. Likewise, you have a chance to see if our general comprehension of what you are looking to create, is on point. Once we both feel the chemistry is there, we will send out a design proposal outlining the scope of the design brief and assign a fee thereto. This way, you have nothing to lose before feeling comfortable engaging us and we furnish you with cool inspirational ideas before you make a single commitment! If this sounds too good to be true, try us out with a no obligation consultation with inspirational ideas to follow. 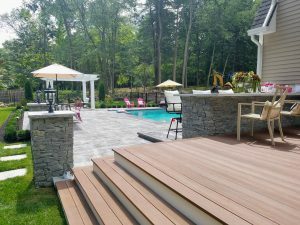 Call us at 781-591-0300 or contact us at vern@ivystudioMA.com to see what you gain by working with us on your next outdoor expansion project.